Valentine's Day is just a week away! Have you made anything special for your loved ones? 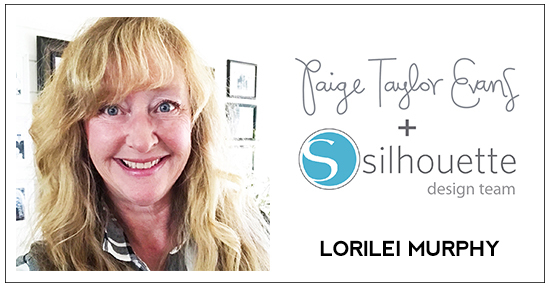 Lorilei Murphy is here with a gift idea! I love Paige’s mini album cut files! I thought it would be fun to jazz up the Hearts Exploding Box Mini Album for a unique Valentine’s Day gift for my sweet daughter! 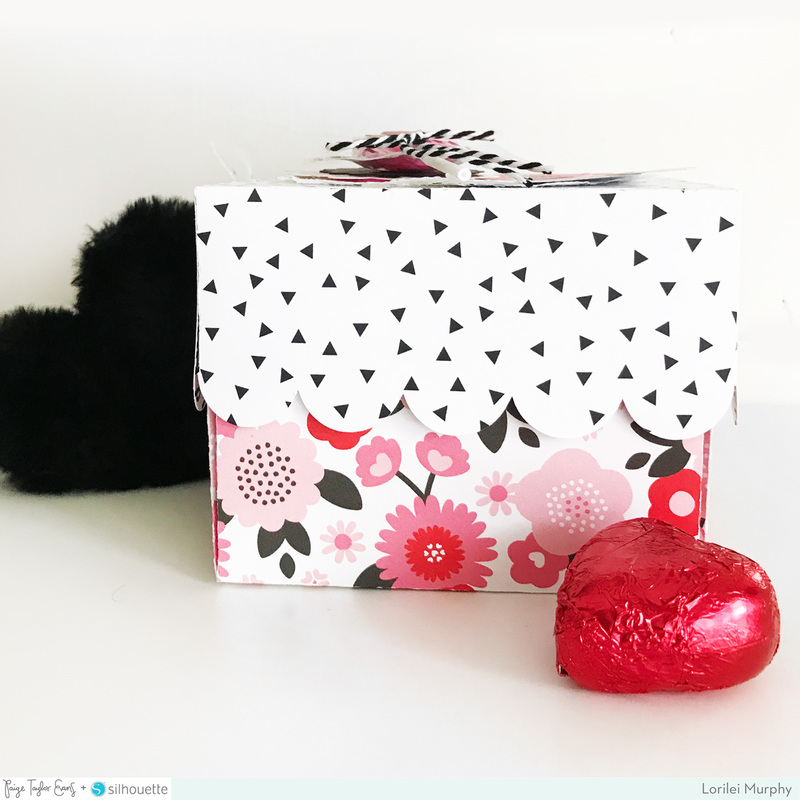 I had a few pieces of Pebbles' My Funny Valentine collection in my stash and it was perfect for the box! I cut the layers from 4 different patterned papers using my Silhouette Cameo 3 and opted to not use the middle layer of the box so I could tuck in thicker little presents. The layers fold like a dream with the score marks that Paige adds and it was SO easy to put together! 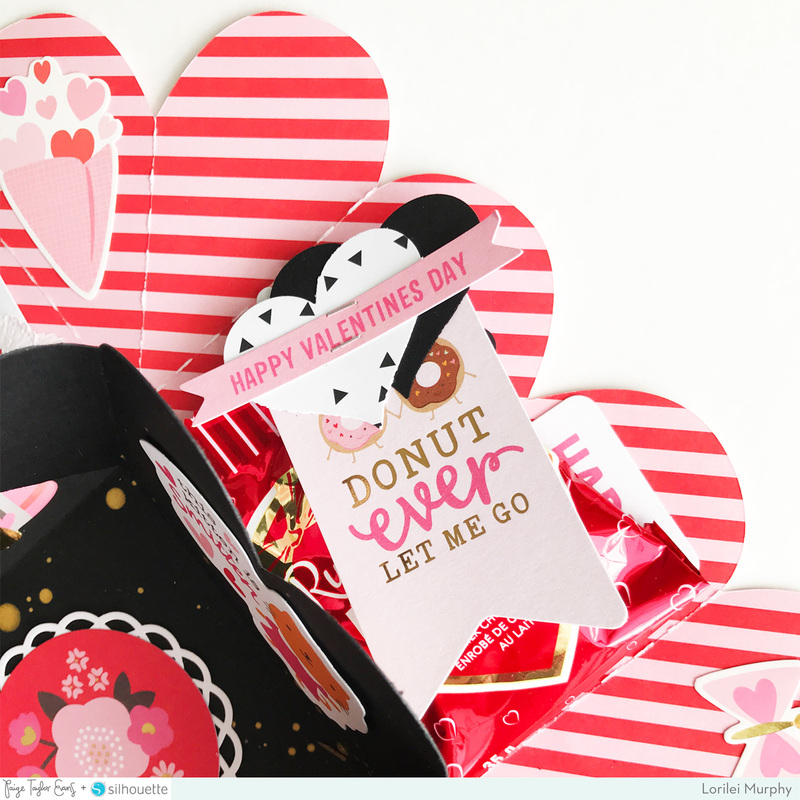 The fun part was decorating with My Funny Valentine Die Cuts and Stickers and adding trinkets inside the middle! Ohhhhhh this is AMAZING!! I am IN LOVE with this!! GORGEOUS!!!!!!! !